Read our open letter to balloon industry representatives here. Read more about where we stood at that time here. 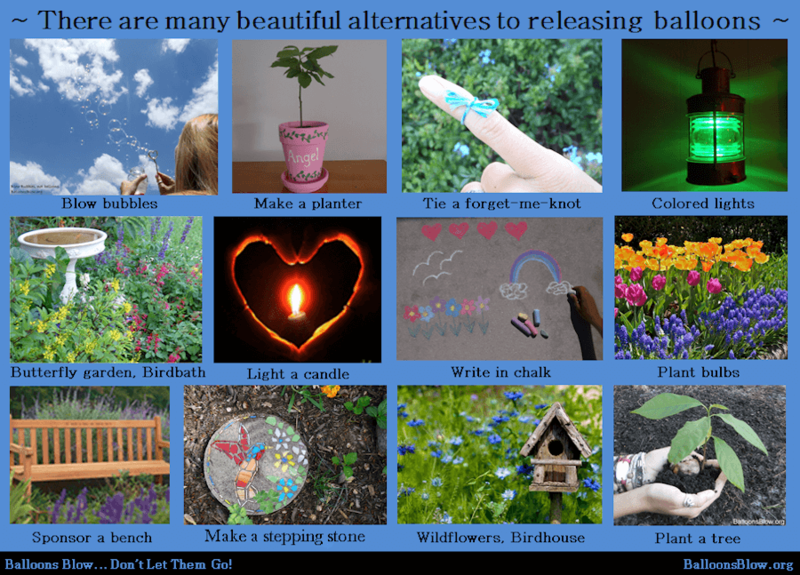 We stuck to our guns though and in 2017 we began seeing big changes in the way balloons were perceived by an evergrowing group of concerned parents and environment lovers. Bubbles were blown at sporting events; Zoos of Victoria pushed for balloon alternatives at celebrations; councils introduced by-laws to ban balloons at events; scientists backed environmentalists' fears about the harmful effects of balloons to animals; and a documentary was made profiling how “harmless” balloons were killing sea turtles as they would fall back down to earth in a new form – looking like rubber jellyfish. Rubber Jellyfish by Carly Wilson is a feature length documentary about the effects of released helium balloons on ocean wildllife - in particular, Australia’s population of critically endangered sea turtles. The film follows the personal journey of wildlife activist Carly Wilson who discovers, while heavily pregnant, that helium balloons are often released ceremoniously to reveal the gender of unborn babies (and for many other causes) but the majority land in the ocean. Carly examines the phenomenon that causes balloons to mimic the appearance of jellyfish, a prey that all sea turtles eat, when they rupture high in the earth’s atmosphere. She meets several turtles suffering from the excruciatingly painful and often fatal ‘float syndrome’ which is caused by the ingestion of balloons and other ocean rubbish. Through the film Carly seeks to understand why and how the multi billion dollar balloon industry has led the public to believe that latex balloons are biodegradable and environmentally friendly despite ample evidence to the contrary. Through her investigative journey, she meets with marine biologists, turtle activists, reps of the balloon industry and policy makers to question why Australia has not taken action against mass balloon releases when it's waters host all six sea turtles on the CITES endangered species list. The film also explores risks balloons pose to children and teenagers. According to the US-based Consumer Product Safety Commission, balloons are linked to more infant fatalities than any other child product and death by helium inhalation consistently takes lives each year. We are excited that such a documentary is being brought to life to finally lift the lid on the balloon industry. A recent Adelaide Advertiser article quoted one of our local competitors Peter Van The Party Man store owner Mark Van who said items that cause more damage to native and marine wildlife included plastic bags, fishing lines and nets. “I’ve been in the business for 43 years and this comes up every five to 10 years and it’s when someone gets as bee in their bonnet, think they’re doing the right thing, but haven’t done their research,” Mr Van said. This is categorically incorrect. 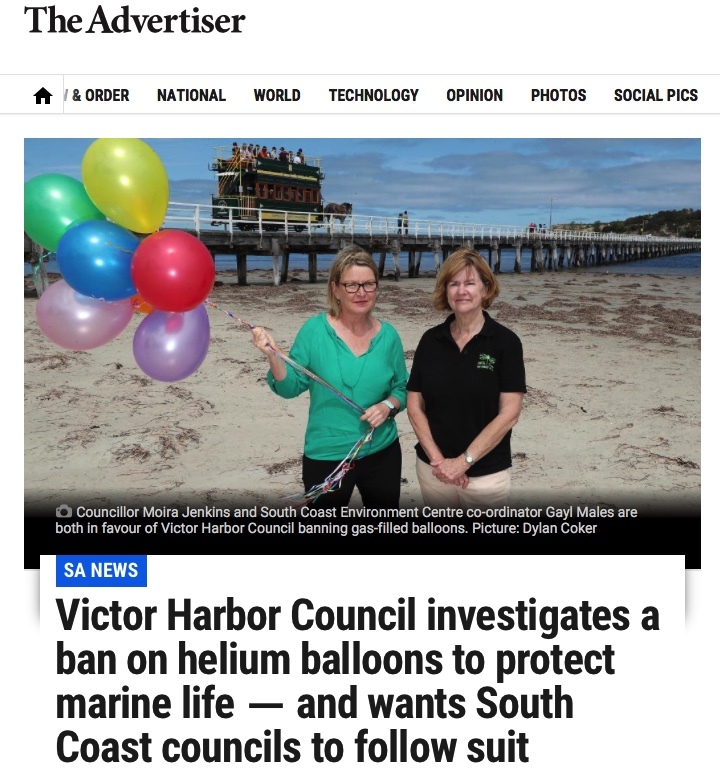 And we suggest all balloon industry retailers investigate the subject more thoroughly as in 2016, the CSIRO named balloon litter as one of the three most harmful items to marine wildlife. *Update September 2018 - Peter Van The Party Man is now a member of PEBA (Pro Environment Balloon Alliance) which calls for an end to balloon releases. A co-founder for PEBA states in the documentary Rubber Jellyfish that there is no definitive proof that balloons are biodegradable. Perhaps, it is wise to focus more on the alternatives. Read about how you can make your party or memorial eco friendly while still celebrating in style here.